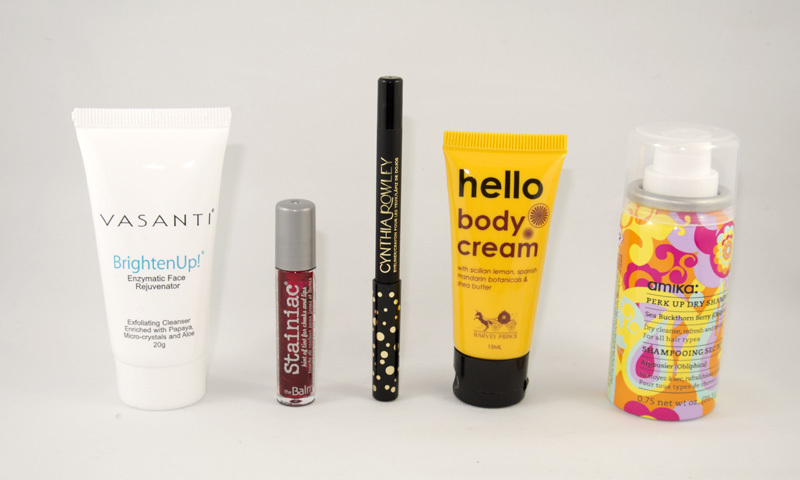 Birchbox Canada, December 2014 - The first box! 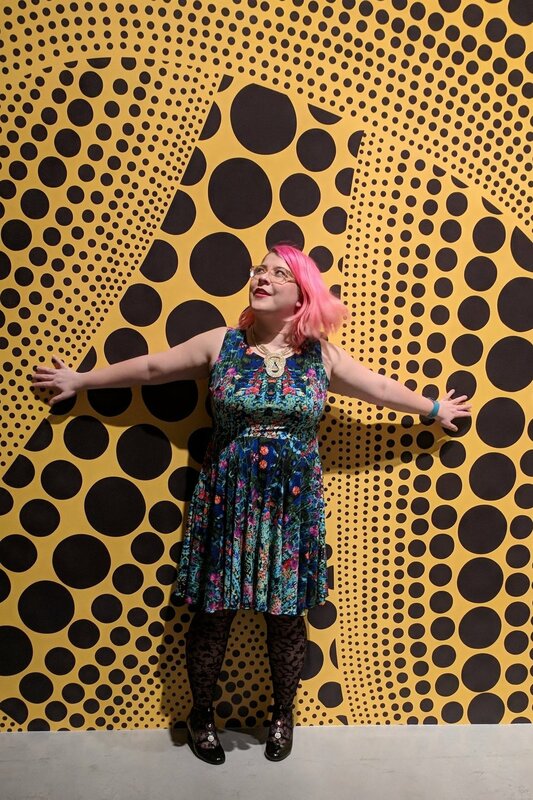 Ever since I subscribed to, and subsequently cancelled my subscription with Loose Button two years ago, I've constantly been on the hunt for the perfect beauty box. Julep didn't meet my expectations, Beauty Box 5 lead to disappointment, and while Topbox and I started out well, I recently made the decision to cut the cord. But there's a new game in town, albeit, an old one that has been impressing Americans for a few years. 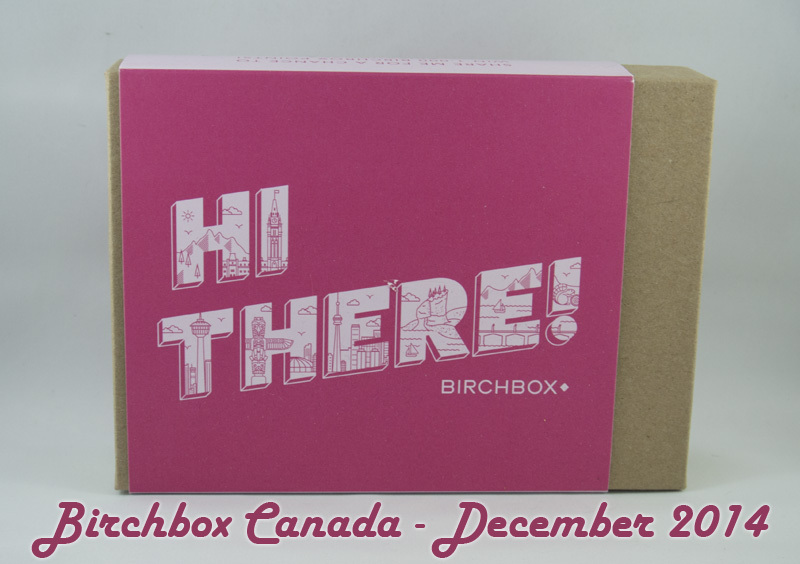 Welcome Birchbox to Canada! Birchbox is a mid-priced monthly box ($10 + shipping comes to $15 a month), comparable to Ipsy that offers a unique rewards system. For example, if you write reviews of all your products each month, you can redeem those points for items from their beauty shop. You also earn points for referrals and other actions on the site. It's a neat way to give back to your subscribers and I look forward to taking advantage of it. It's similar to Julep's 'Jules' but it doesn't ONLY reward purchases. Another neat thing about Birchbox is that they allow you to see what your products are before they hit your door, so it can be a surprise or you can spoil yourself if you want. I spoiled it this month but I think next month I'll wait and see! I've heard a lot about this brand and was interested in trying it out. I still haven't found an aerosol dry shampoo I really like (my favourite powder is Cake) so this was a good choice and so far so good. It smells good but I need a few test runs before I give a final review. But heck, dry shampoos could be an entire post on it's own! I've got some CLOTHES from Cynthia Rowley but no makeup! Eyeliner is a daily staple for my day/night looks so I was interested in trying out this product. It's a nice, solid, smooth eyeliner that moves really easily and is just as long-lasting as any other pencil. Not smudge-proof but I find that few eyeliner pencils are. Very sharp jet-black though. I need another blush like I need a hole in my head, but I did want to try out a product from this company. I have a TEENSY blush from one of my mediocre Topboxes but this tinted gel is much more similar to Tartes. The only problem is that this sample is SO TINY. This is the second sample of The Balm I've received that is so small, it's hard to get a good idea about a brand with a small sample. But the quality is very nice! It's a ruby-red stain with some real staying power. I enjoy Harvey Prince's Hello perfume (I received it from Beauty Box 5 a few months ago), but INITIALLY I found the perfume aspect of this boy cream too cloying. After a few uses, I've determined that while the perfume aroma in this hand cream is strong, if I use a smaller amount than I normally use with other products it's not so bad. The texture and consistency is REALLY nice, it just took some getting used to. Who can resist a good exfoliant? Unfortunately I can't try this one yet as I'm still on my Miracle 10 10-Day Test, but I'll test it out soon! My December 2014 Birchbox is a hit! I'm glad they've finally come to Canada and if future boxes resemble this one, I think I'm in good hands. I do hope they bring Birchbox for Men to Canada soon because my boyfriend is interested, but this is a good start. Use my referral code to try out Birchbox today. And who knows? This new kid on the block might be the new competition that all of our lacklustre Canadian boxes need!